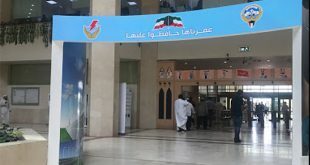 KUWAIT CITY, April 5, (KUNA): The people of Kuwait used to depend on basic fuels, such as oil extracted from sesame and coconut, to illuminate homes and streets before the introduction of electricity over 100 years ago. Electricity was first introduced to Kuwait in the early 1900s when Sheikh Mubarak bin Sabah Al-Sabah (the seventh ruler of Kuwait 1896- 1915) imported a small power generator to light up the wedding party of his son Sheikh Hamad Al-Mubarak. Tracing the history of electricity, Mohammad Abdul- Hadi Jamal, a Kuwaiti historian, wrote, in his book “trades, crafts and traditional commercial activities in old Kuwait,” that a group of Kuwaiti tradesmen founded the country’s first national electrical company in 1933. The company, called the national company for electricity, launched a power generating plant in the following year with two diesel-powered generators each of which had a capacity of 3 kilowatts and produced 400-volt direct current. 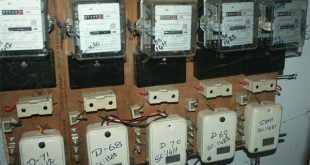 The two generators used to operate day and night alternately and the power generated was used for lighting only; a few people had kerosene refrigerators, Jamal said. The power plant, located on the seaside in Sharq neighborhood, supplied the nearby shops and homes with electric current for the first time on April 1, 1934. By the end of the year, the number of subscribers hit 60 and rose to 400 in the following year. Few years later, use of electricity expanded from lighting to powering fans; late Sheikh Ahmad Jaber Al-Sabah used a small air conditioner at a room in his palace later on. 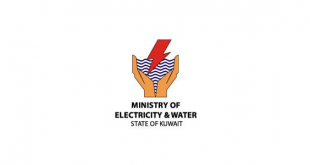 Kuwait Municipality and the electricity company agreed to install 50 lamps at some streets and marketplaces at a monthly rate of 2.5 rupees per lamp. 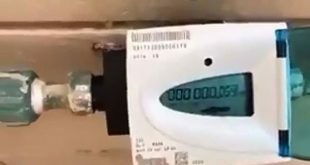 As the number of subscribers hit 700 in 1940 despite the economic recession resulting from the WWII, the company decided to gradually shift from direct (DC) to alternating current (AC) with a triangle wave, 380/220 voltage and 50 Hz frequency; the AC replaced the DC totally in 1950. In 1949, the company launched a second power generating plant in Merqab area, which had two generators with 200 KW capacity each. 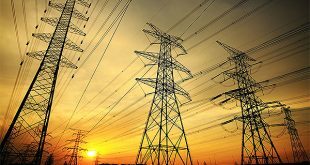 The economic boom and accelerated industrialization in the country fueled up demand for electricity and added strains on the existing plants; thus prompting the government to step in and buy the shares of the national company for electricity in 1951. The general directorate of electricity replaced the company and took charge of power generation and distribution; it launched the first steam-powered plant in Al-Shuwaikh area in 1952 near the coast of the Arabian Gulf.